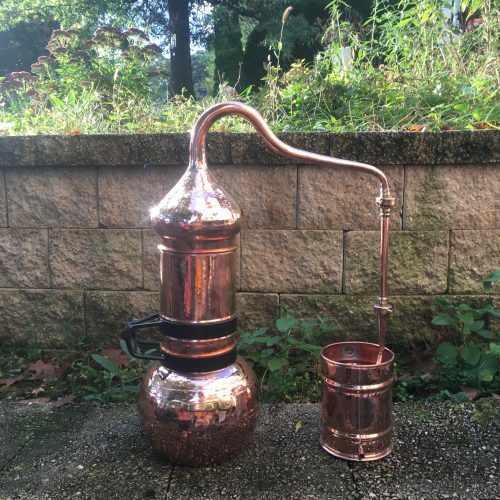 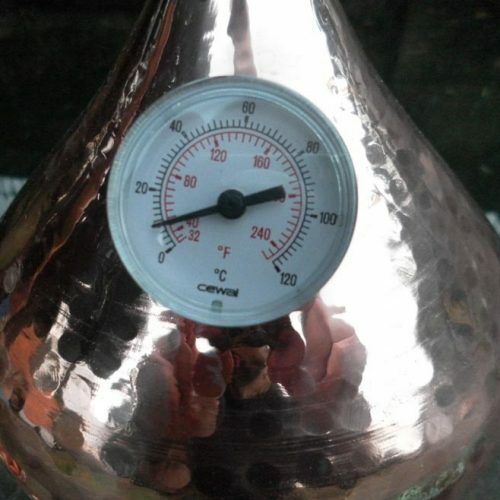 Our Premium Copper Flip Top Column Alembic Still includes a copper pot with soldered union construction, a rotating column attached to the pot with a metal support, which can be used or tipped to the side when you wish to use the alembic traditionally, a swan neck lid, an extension pipe and a condensing recipient with serpentine coil.The extension pipe is provided to compensate for the increased height of the column. 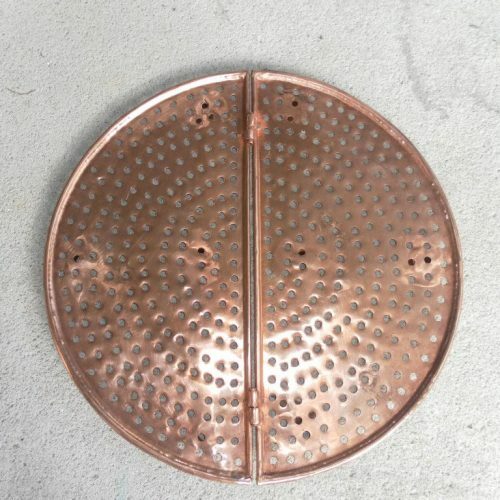 It is connected between the lyne arm and the condenser. 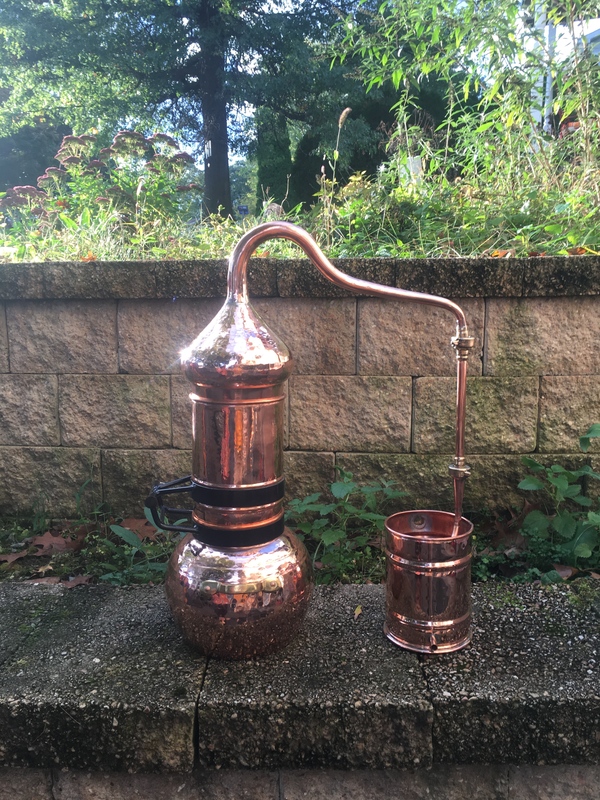 When you wish to use the alembic without the column, simply tip the column to the side and remove the extension pipe, connecting the lyne arm directly to the condenser.